Home Attorney Jefferson City Should Drivers Always Hire Legal Counsel for Traffic Tickets? Some drivers are offended after receiving a traffic ticket and desire to remove it from their record at all costs. Still others never think of hiring legal counsel and just pay the ticket because someone has informed them one or two tickets won’t harm their insurance premiums or driving privileges. Our firm represented traffic clients in over 40 plus Missouri jurisdictions last year. We always encourage clients to address tickets with counsel and avoid points whenever possible. This article examines the business of traffic tickets and why drivers should address them with the assistance of legal counsel. How the Economy May Affect Traffic Tickets: Various experts estimate that the issuance of traffic tickets is a $7.5-$15 billion business in our nation and those with knowledge of the system will tell you the outcomes of most tickets do not favor driver defendants. About one-half of the revenue goes to various governmental agencies such as municipalities, states, and counties. The remainder of the proceeds from tickets find their way to various entities including agencies teaching driver improvement courses and the insurance companies that raise rates on those ticketed. Traffic tickets provide an attractive revenue source for local governments because the amount of revenue generated is often unrestricted. The mechanism is in place to capture revenue from a wide array of people including non-residents and non-voters, and most traffic offenses possess a low-strict-liability threshold to achieve a conviction (as opposed to the higher criminal intent standard). Like every aspect of society, abuses can occur. While it is assumed that an average traffic officer will issue hundreds of tickets annually, some officers are thought to take more pleasure in their job than others. A September 2013 report by a WSB-TV reporter in Atlanta noted that one Gwinnett County officer issued almost 800 tickets for unlawful communication devices in the first nine months of 2013 (cell phone use we can assume). The officer was proudly quoted as saying he expected to reach 1,000 tickets by the end of the year. As often happens, the new laws were widely held as an overreach and not only punished those municipalities near St. Louis known to be abusing the legal process, it also caused the closure of many municipal courts throughout the state who were otherwise compliant. Since their passage, new legislation has been passed to amend the harshness of the new laws. To be fair, the majority of officers are extremely honest and work hard to issue tickets to only those who deserve them. A report in the Dallas Morning News dated December 3, 2013 indicates that Dallas police officers issued 37,000 fewer tickets in 2012 over the previous year. The result was a downsized municipal court system and reduced budget by $757,000. Not surprisingly, and in step with the Garrett and Wagner article aforementioned, Texas officials announced recently that its economy has now regained every job lost during the worst parts of the recession in late 2008 and 2009. Its business-friendly environment has led to a statewide unemployment rate at or below the national average for 60 consecutive months. Ticket Disposition: Without legal counsel, many people are disappointed after their first experience with traffic court. Courtrooms are filled with defendants who merely plead guilty to simple tickets only to lose their driving privileges because of excessive points. Along with a history of point infractions, these defendants also face higher insurance rates and scrutiny by employers who scour court databases for employees with clean driving records. Instead, hire experienced legal counsel and in doing so, select an attorney with experience in your particular jurisdiction as he/she will know how best to approach the prosecutor and court personnel. The process of representing traffic clients is not open and shut. Instead, each jurisdiction has its own nuances and local rules. Once you find an attorney, discuss the matter at length explaining the events leading up to the ticket itself. Note weather, traffic, etc. if you feel you were not breaking any laws. Ask questions of your attorney and make certain you know the charges. Most traffic matters are a civil infraction, a traffic offense that carries a fine and the possibility of points on your driving record. Others are traffic misdemeanors. If you are charged with a traffic misdemeanor, a conviction as charged may result in a criminal record; therefore, it is always beneficial to consult with an attorney if you are charged with a criminal offense. Some of these tickets include reckless driving, drunk driving, or driving with a suspended license. In most jurisdictions, civil infractions are handled through the opportunity to enter a plea by mail, or to schedule a court date to appear before a judge, magistrate, or hearing officer. Again, do not discount the seriousness of these offenses. Points added to your driving record impact your ability to drive and your pocketbook. Your attorney will direct this process for you and discuss the possibility of a negotiated guilty plea or recommendation with the prosecuting attorney. During this process, the prosecutor will carefully review your file at length including your driving record and discuss the particulars of your matter with your attorney. If the facts allow, an amended charge may be afforded to you if you agree to plead guilty to an agreed upon traffic offense. Most prosecutors seek to treat defendants fairly while still upholding local laws and protecting citizens in the process. If your ticket involves a traffic misdemeanor such as “reckless driving” or drunk driving, you will have additional rights and procedures as a defendant. The first court hearing on a misdemeanor is typically an arraignment, where you are afforded the opportunity to have the charge read to you. If you plead “not guilty” or you stand mute and have the court enter a not guilty plea on your behalf, you are then afforded the opportunity for a pretrial hearing where the court will determine if the matter should be scheduled for trial. In summary, traffic tickets are big business. Municipalities, counties, and states rely upon this revenue to pay for their services and economic factors may be at work in determining how many tickets are issued each year. Legal counsel is an important part of the process. An experienced attorney can represent your best interests and seek to reach an amicable disposition of each ticket. If you hire legal counsel and points are reduced or avoided, your ability to drive will be enhanced and your annual expense to drive could be minimized. 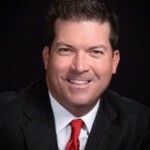 Todd Miller is a Partner with the Law Office of Todd Miller, LLC, 1305 Southwest Blvd., Ste. A, Jefferson City, Missouri 65109 www.toddmillerlaw.com (573) 634-2838. Mr. Miller earned his juris doctorate from the University of Missouri School of Law in 1999. He is recognized as a Superb Attorney and Top Contributor with a “9.9” rating by AVVO and annually receives the Client Distinction Award by Lawyers.com. He was recognized as Golf Tax Consultant of the Year by Boardroom Magazine three times and Consultant of the Year in 2017. He writes and lectures on various legal topics and you may find him on Facebook, Google+, LinkedIn, and Twitter.